The trade body for Britain's wind and tidal energy industries has called in Hill+Knowlton Strategies to amplify its voice in the UK energy debate. RenewableUK has appointed the agency to support its media relations programme at a crucial time for the wind power industry. This year the Government will publish its wide-ranging electricity market reform bill, which could establish a long-term framework to shift the UK towards renewable energy. Climate and Energy Secretary Chris Huhne wants to make the UK the largest market in Europe for offshore wind, but critics argue it is unreliable and too expensive. This month think-tank Civitas released a report arguing wind power was ‘inordinately expensive’ and that there was ‘no economic case for wind power’. 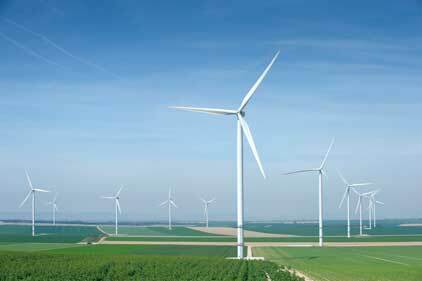 Reports have also suggested that construction of new wind turbines in 2011 fell by 50 per cent. H+K won the brief via a competitive pitch earlier this month and will run a campaign encompassing media relations, digital campaigning and research. Whitehead said the agency would focus on reiterating how ‘the industry spurs economic growth, creates jobs across the UK and drives part of the rebuilding of the UK’s energy infrastructure’.